The Labrador retriever, a type of gun dog, originated during the 1700s in Newfoundland. They were developed in order to retrieve fishing nets and their webbed paws help them in this regard. They were imported to England in the early 1800s and presently are one of the most popular dog breed all over the world. It is also among the oldest of the modern breeds that have been recognized. Their universal nature along with positive characteristics makes them a favorite family pet. Not only is it a family pet, but in certain countries it is also used in official departments such as the police because of their detective and working capabilities. It is a medium sized dog, well balanced, muscular and sporty along with being affectionate, social and good-natured. Labrador Retriever are of two types, the American and The English with one being tall and slender and the other being fat and massive respectively. They are accomplished hunters and retrievers and have been respected over the years for their affectionate nature. Not only is it a devoted, brainy, trustworthy and an affectionate breed, but it also does extremely well with children and other dogs. However, it is an attention seeker and if left alone for a long period of time then it can cause become destructive. However, it is wary with strangers because of which it may also make a good guard dog. They need regular grooming and special care has to be taken to ensure the under coat doesn’t get tangles. Bathing should only be done when needed. It is a double coated breed with the outer one being short, thick and hard textured and the inner one being soft and weather resistant. This breed is an average shedder. 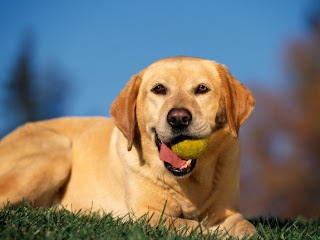 Training is not a problem with Labrador retriever and must be done fairly, strictly, constantly and respectfully along with rewards and praises for good behavior. They are excellent for tracking, police work, search and rescue works, guide dogs for the blind and the disabled. They are bubbly and full of energy and thus need a lot of exercise. They will survive in an apartment if given sufficient exercise along with attention and loves playing with family, long walks, swimming and a yard to run around freely.